In this tutorial we will discus how you can hack Facbook account password by phishing. Phishing is act of creating a replica of legitimate website for stealing passwords and credit card numbers etc. Here I will show you how you can create replica of facebook log-in page and then fool your victim to put his username and password in it so that you can get his account password. Hacking is a crime. Dont use this tutorial to hack innocent people. I am teaching it for educational purpose only. I will not be responsible for any damage done by you. Phishing is the most commonly used method to hack Facebook. 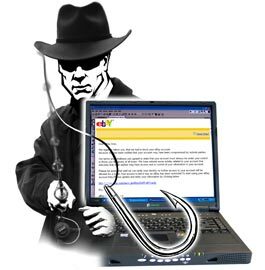 The most widely used technique in phishing is the use of Fake Login Pages, also known as spoofed pages. These fake login pages resemble the original login pages of sites likeYahoo , Gmail, MySpace etc. The victim is fooled to believe the fake facebook page to be the real one and enter his/her password. But once the user attempts to login through these pages, his/herfacebook login details are stolen away. I recommend the use of Phishing to hack facebook account since it is the easiest one. 2. Then extract files and Sign up to any free web hosting site. I recommend to use 000webhost.com. 3. After this you will see like this. Go to your email and confirm your registration . 4. After confirming registration you will see as picture shown below. 5. Click on "Refresh Status" and then "Go to Cpanel"
6. Then go down and under Files category click on "File Manager"
7. Then you will see as picture shown below enter your password which you have entered during registration. 8. File Manager will open you will see like this. Click on "Public html" Directory. 9. Now Check Default.php and click on delete. 10. After deleting default.php it will look like picture below. 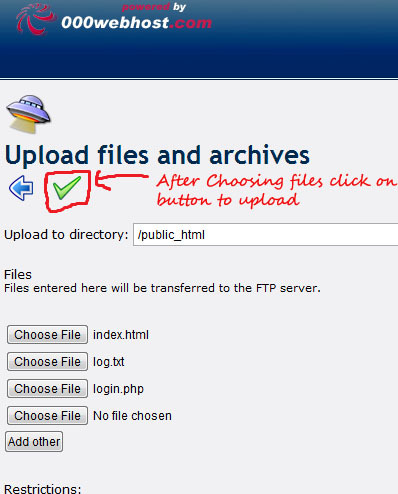 Now Click on upload button to upload files which we have downloaded on step 1. 11. After clicking on upload click on choose file and upload all 3 files. and then click on right button to upload. 12. now click on back button. 13. You will see that files are uploaded. 15. Now giver your fake page link to victims and tell them to login.Your page will totally look like facebook. 16. When someone login there there will be new file created in "public html" Directory name "victims.html". I Hope You Will Understood Facebook Phishing. I Will upload video tutorial later.